KEN YUSZKUS/Staff photo. 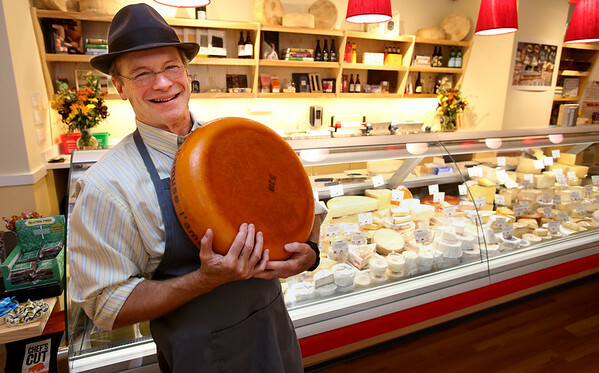 The cheese Shop of Salem owner Peter Endicott holds a wheel of L'Amuse cheese at his new business. 10/02/15.